General Hospital (GH) spoilers tease that Sonny Corinthos (Maurice Benard) is facing some tough times ahead. He’ll be dealing with Mike Corbin’s (Max Gail) worsening dementia, as well as his daughter Kristina Cortinthos-Davis’ (Lexi Ainsworth) involvement in the Dawn of Day cult. He’s a fictional mob boss with big problems, as well as everyday problems. 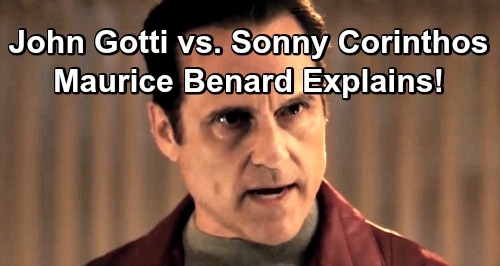 Sonny’s portrayer, Maurice Benard, recently took on the role of real-life mob boss John Gotti in Lifetime Television’s “Victoria Gotti: My Father’s Daughter.” One might think there were a lot of similarities between the role of Sonny and John Gotti, since they’re both mobsters, but Maurice Benard recently told Parade Magazine that the two characters are quite different. The two mob characters may be very different, but Maurice portrays them both phenomenally. 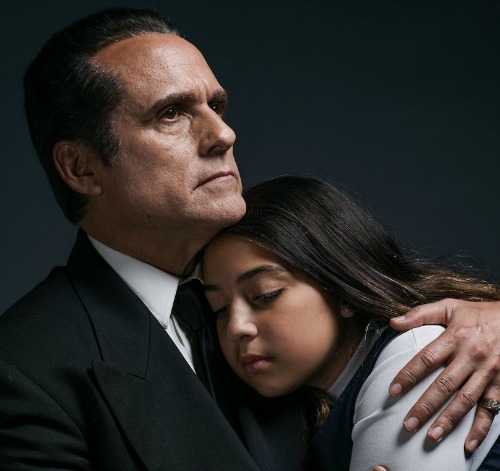 Are you excited to see Maurice in his new role as John Gotti? Stay tuned to the ABC soap and don’t forget to check CDL often for the latest General Hospital spoilers, updates, and news.